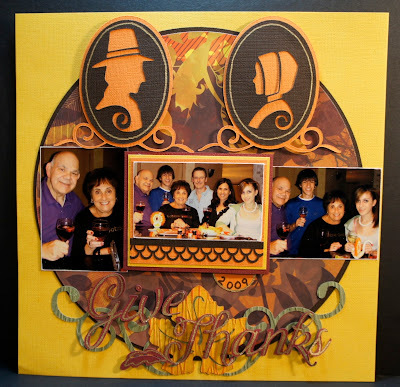 Maria, I love your lovely layout....such a great design, wonderful papers and great take on our challenge. Beautiful Maria. Those pilgrim silhoettes are really nice. This doesn't appear to have had any stressed involved at all. Well done!!! Maria this is just a beautiful layout! I know we are not supposed to have favorites, but this layout is my favorite project this week!!! What a beautiful beautiful layout Maria a perfect stage for family get together photographs. So pretty Maria! Has such a Classy look. Loving the warmth and the nice family pics! Great layout, Maria. Don't you just love this cartridge. 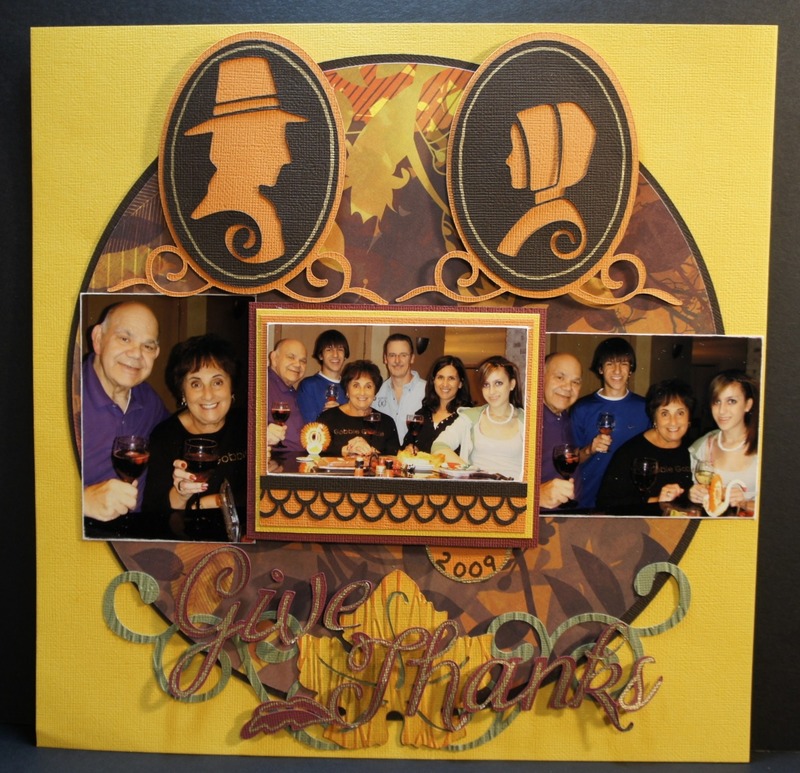 Such a wonderful layout to capture the family get together. Love the colors, I wish I had gotten this cart, may have to rethink getting it. And boy I know the feeling of figuring out what to do each week, lol, sometimes I'm getting things posted at the very last minute!